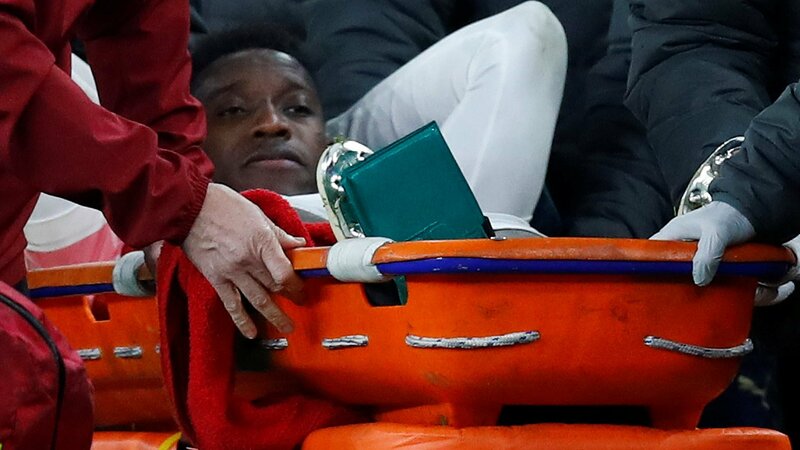 Arsenal qualified for the last 32 of the Europa League after a match marred by forward Danny Welbeck suffering what appeared to be a serious ankle injury. The Gunners were held to a goalless draw by Portuguese side Sporting Lisbon at Emirates Stadium to join Chelsea in the next phase. But the fixture was overshadowed by the injury to England international Welbeck, who was carried off on a stretcher. The 27-year-old was hurt in the 25th minute when he jumped for a header and landed badly on his right ankle. Arsenal, who are fifth in the Premier League and now unbeaten in 15 games, have 10 points from their opening four Europa League games. A 1-0 win for Azerbaijani side Qarabag over Vorskla Poltava of Ukraine in the other Group E match was enough to take the Gunners through to the knockout phase. Unai Emery’s side are three points clear of Sporting Lisbon in second and will win the group with victory at Vorskla Poltava on Thursday, 29 November.